Unpack these tiny treasures and discover the sweetest mouse family in a match box, or little suitcase with a pillow and blanket! They are great for imaginative play and we are excited to carry big brother, big sister, little brother, little sister, baby and Mom and Dad (who come in a cigar box). 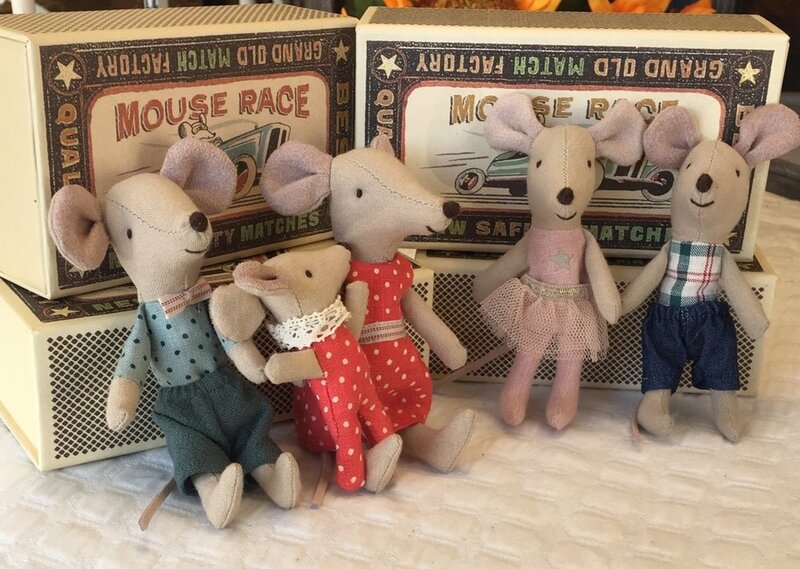 These whimsical matchbox mice are perfect for your little ones with a big imagination! 12 Days of Christmas Gift Ideas!